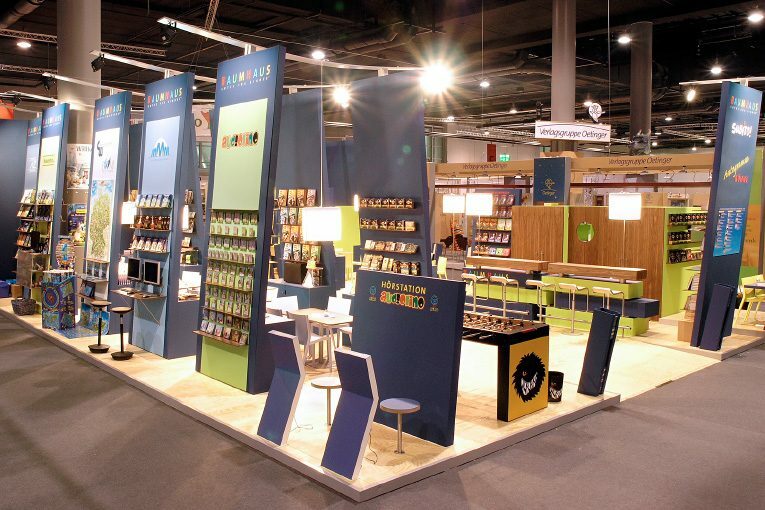 This open-planned, light exhibition booth with central aisle is flanked by tall blue bookshelves for the individual subject areas. 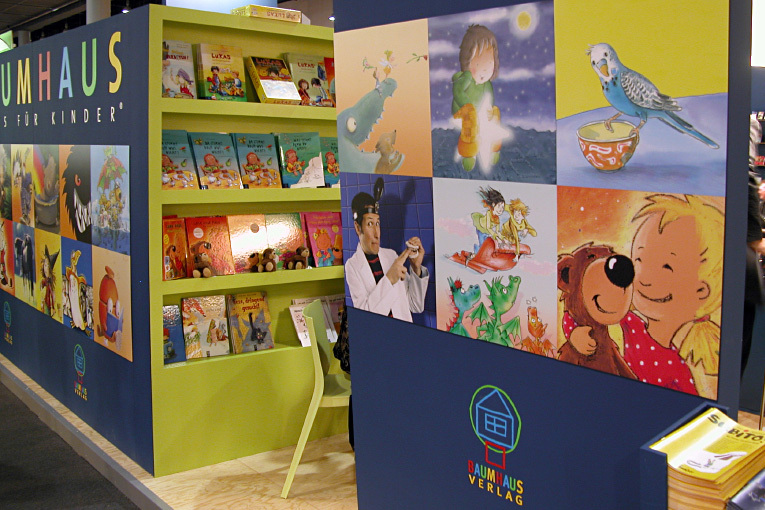 Large placards, mosaic walls and special presentation desks colourfully promote series such as “Die Wilden Kerle” or “Laura’s Star”. 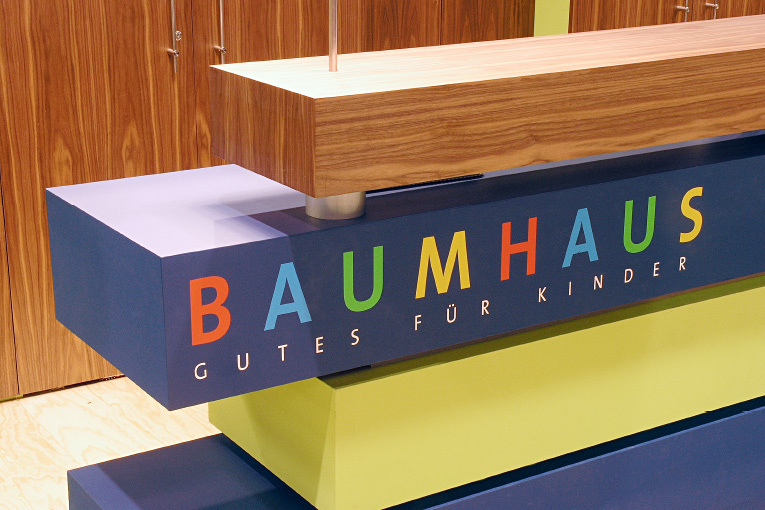 We combined the dark Baumhaus blue with a light yellow-green and walnut. 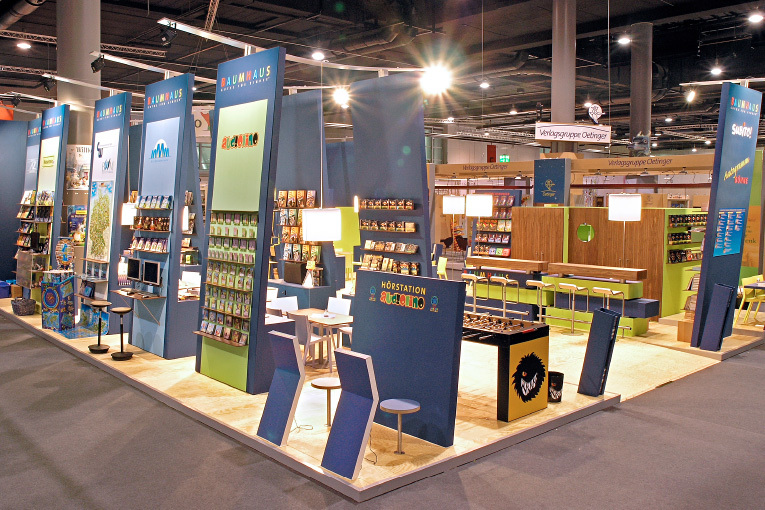 Audiostations, video and games consoles present audiovisual products, and an autograph stage is available for visiting authors.